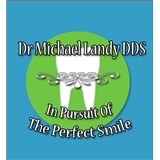 Dr. Michael G. Landy, DDS (Washington) - Book Appointment Online! Since 1979, Dr. Landy and his staff have been serving patients from the metropolitan Washington, DC area as well as Bethesda and Chevy Chase, Maryland. Our goal is to provide sophisticated dental services and make these services affordable to any patient who desires the best treatment that modern dentistry can offer. Take advantage of Dr. Landy's excellent, technologically sophisticated, state-of-the-art dental care in our comfortable, modern facility that features a highly trained, friendly, and caring dental staff that you will just love. Dr. Landy isn't the most personable of dentists: he's not going to make small talk about what you do for a living during your exam. But the reason is that I think he understands it's impossible to hold a conversation while you have multiple tools in your mouth. That said, Dr. Landy is probably the most thorough dentist I've ever had. He's excellent at not only explaining what he sees, but also at showing you. He gave me a hand mirror so that he could show me what was up by pointing things out as he described some issues I was having and various alternatives for treatment. I came away with more knowledge about what good dental health looked like than I ever had before. Kudos!